When Ben and I were invited to take the Ringwood Brewery tour, it was easy to see why it was recently voted as the 5th best brewery tour in the world. Ben and I found this an easily quaffable and refreshing beer that went down very well. With our whistles wetted, Haydn took us behind the scenes to where the magic happens. 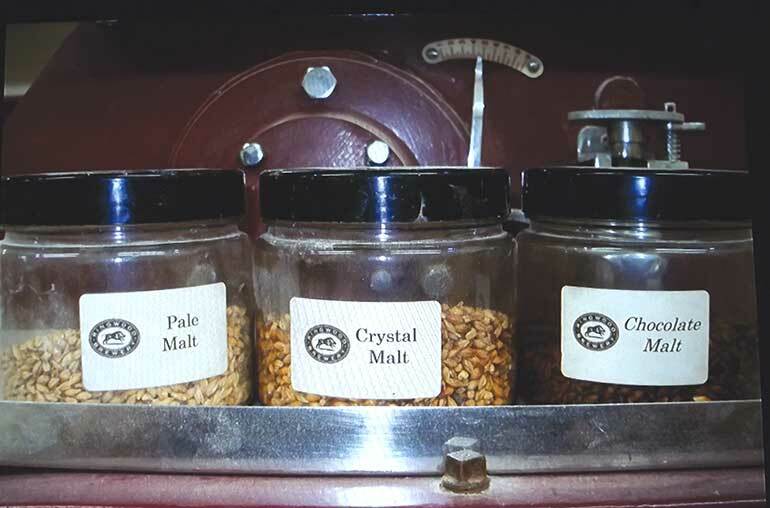 Here we could smell the hops and taste the different varieties of the malt used in the brewing process. An explanation followed of the alchemy that creates the palatepleasing brews such as Boondoggle 4.2% ABV, Fortyniner 4.9% ABV, Old Thumper 5.1% ABV and the seasonal favourite XXXX Porter 4.7% ABV. 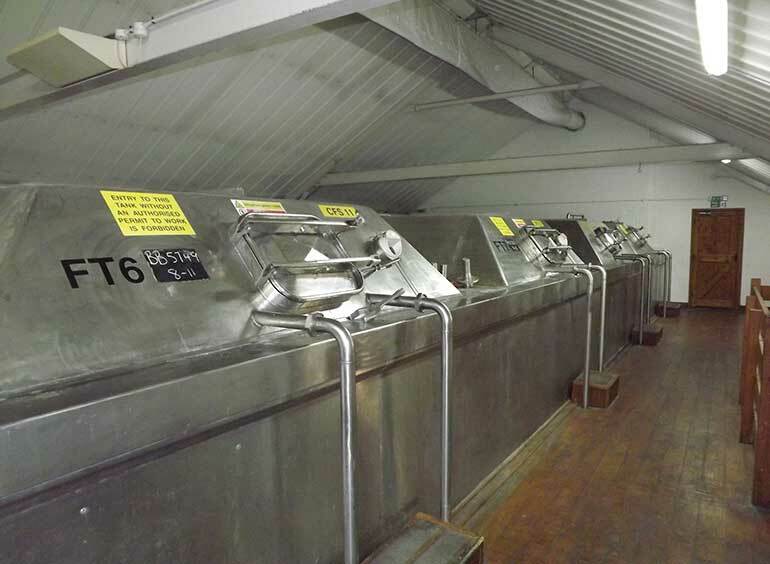 The tour started at the mash tun where the barleys are infused with water, soaked and stirred. The mixture, or wort, is drained, strained, transferred to the copper and brought to boiling point. Hops are added to make the bitter flavour before the wort is transferred to the whirlpool and passed through a heat exchanger. From there it is moved into the fermentation tanks where the yeast is added. This converts the sugars into alcohol and carbon dioxide, which takes about three days. 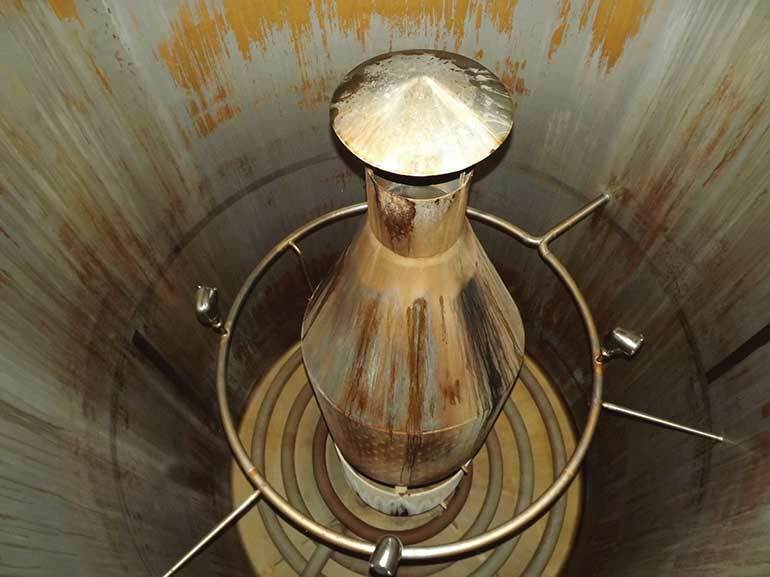 When fermentation reaches the appropriate level, the yeast is collected from the surface of the beer. 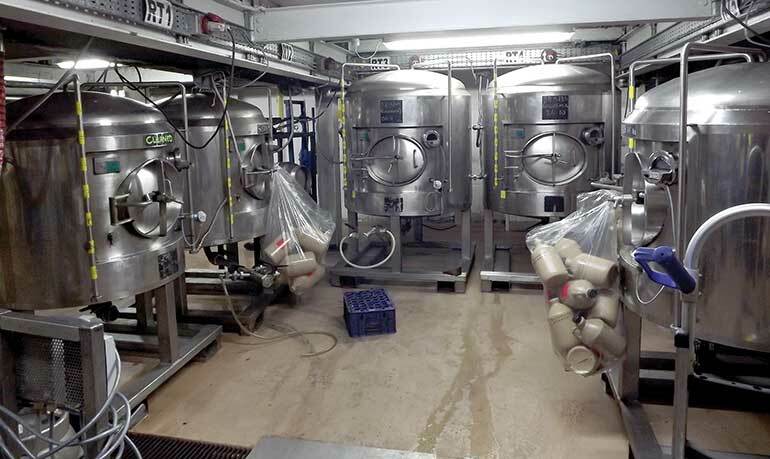 Each fermentation produces about three times the amount of yeast added at the beginning. It was fascinating to learn that the yeast is used again and again and, incredibly, the strain being used today has been in use since 1978. 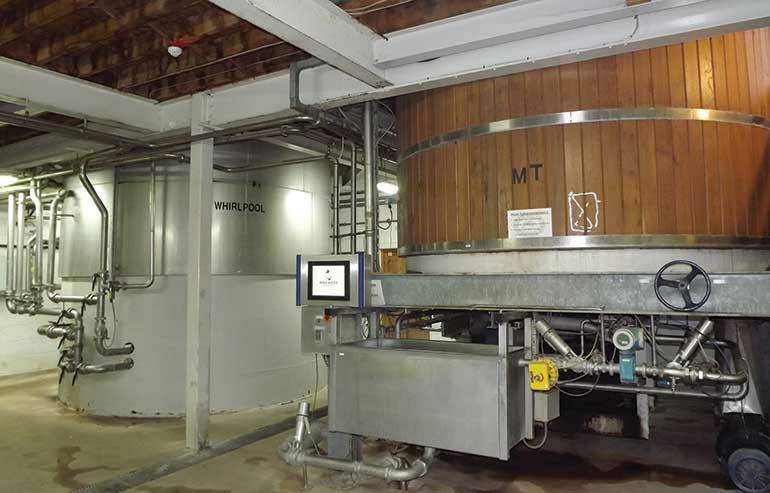 Once the process is complete the finished beer is sent to the barrelling area. 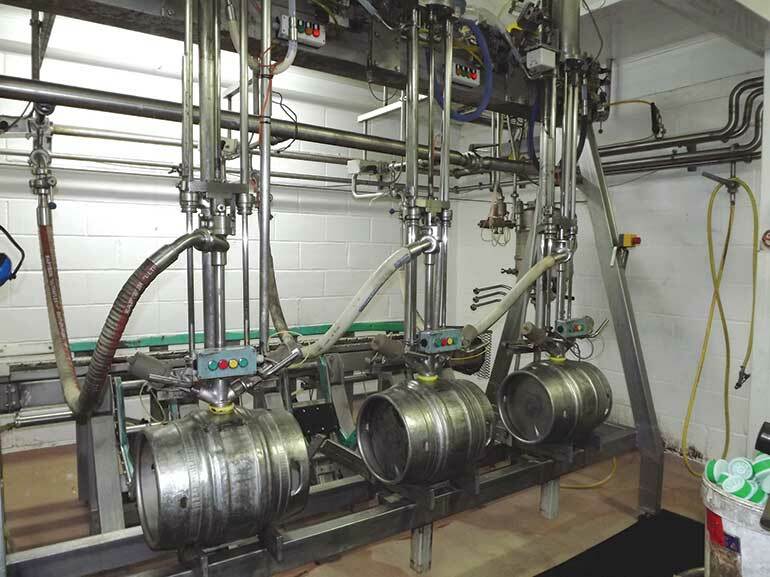 Approximately 120 barrels are filled each hour, labelled and sent via the draymen to the pubs and clubs that sell the Ringwood ales. The informative tour gave us the chance to taste the malted barleys, sniff the hops and see the fermentations bubbling away. There were also further tastings to look forward to. Haydn took us back to the Pin Room to sample the delicious ales produced in this brewery, and because we had tasted the malt and smelled the hops, we found ourselves analysing the flavours within the beers. 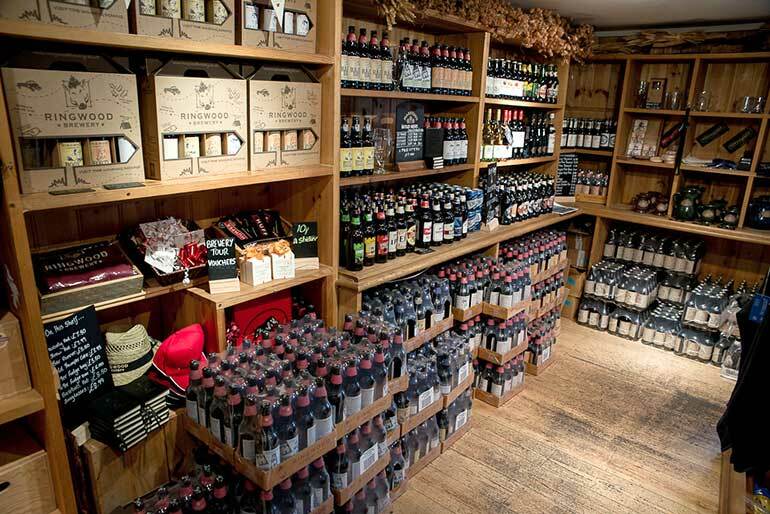 At £8.50 (£5 children aged over 8 and under 18) the brewery tour represents great value and is a great way for any beer-lovers to spend a couple of hours – it would also make a good Christmas present. I heartily recommend visiting this local jewel in the brewing world. 1978: Ringwood Brewery was founded by Peter Austin following his time as master brewer for Hull brewery. The first two beers were Best Bitter (now called Razorback) and Fortyniner. 1979: David Welsh joined as a partner to look after the business side whilst Peter looked after the brewing. 1984: A third, quality beer was created with a whopping 6%ABV and Peter and David ran a radio competition to ‘name the beer’. The winner, Mr Joe Leadham, thought superior quality beers always seemed to start with the word ‘old’, and as this one was a thumping good beer, ‘Old Thumper’ was born. At the same time the brewery was expanding and a move was made to the Tunks brewery site in Ringwood, which had a hop vine growing in the yard. 1986: The brewery extension was completed and Old Thumper won the Supreme Champion at the Beer of Britain Awards. After winning this prestigious accolade the ABV was reduced to 5.8% to appeal to a wider audience and is today, with its 5.1% ABV, still as popular as ever. 1988: Peter decided it was time for a new challenge and after selling his share of the brewery toured the world helping micro breweries around the globe passing on his extensive knowledge of beers and brewing. 2007: David Welsh retired. He wanted the brewery to be sold to someone with the same values and love of the beers that both he and Peter had. He decided that Marston’s Brewery would maintain their ethos and that the brewery would be in good hands. Marstons paid £19.2 million and the price included six pubs, the brewery and a vineyard, which has since been sold. Brewery tours are carried out daily and must be booked in advance. 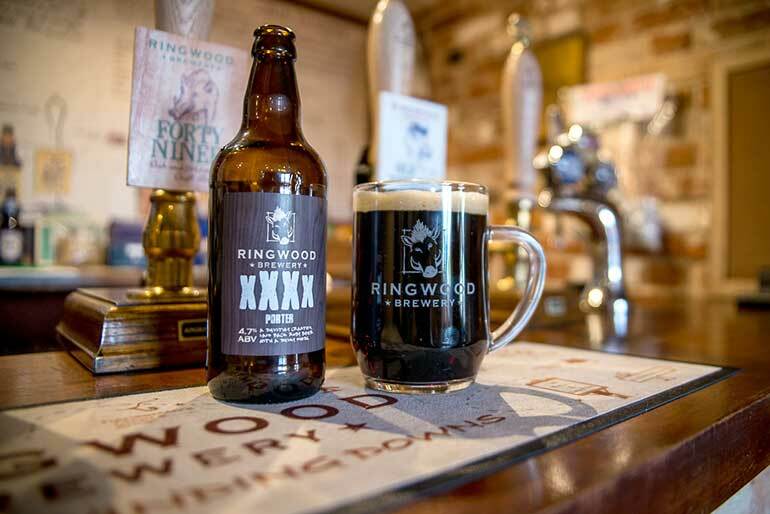 This can be done at www.ringwoodbrewery.co.uk. Stag and hen parties and private tours can be booked on 01425 470303, evening prices are available on request.